The Imo State Police Command has explained that it is yet to receive any Order of Court, directing it to arrest and hand over the leader of Biafra Independence Movement, BIM, Chief Ralph Uwazuruike, to the Nigerian Prisons, to serve his one-month imprisonment. The Police Public Relations Officer, PPRO, Mr. Andrew Enwerem, a superintendent of police, made the position of the command known on Wednesday in Owerri. 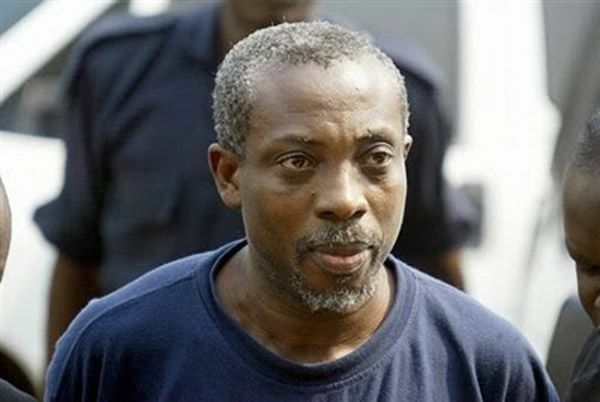 Justice Kemakolam Ojiako had sentenced Uwazuruike to one month in prison for disobeying the order of the court to appear before it in a case in which he is the plaintiff. Ojiako made the order in the civil case, HOW/265/2013, between Uwazuruike (plaintiff) and Barr. Chigozie Iheama and others over a land dispute. “I am not aware that the command has received any Order of Court, asking us (police) to trail and arrest Chief Ralph Uwazuruike. We have only read about the issue in the newspapers and it will not be proper to act based on what we read from the dailies”, Mr. Enwerem said. Answering another question, the Imo State Police Command’s PRO, promised that “as a law enforcement agency, the police will appropriately carry out the Order of Court when and if we receive it”. Reacting also, Uwazuruike’s counsel, Mr. Emmanuel Chukwuka, was of the view that the order to jail his client was “an abuse of court process”, especially as they had since appealed against the hearing of the suit. He also recalled that the presiding judge, Hon. Justice Kemakolam Ojiako, insisted on going ahead with the matter. “While Justice Ojiako ruled that the substantive proceeding is adjourned to July 10, 2018, to await the outcome of the motion for stay of proceedings, hearing on the appeal suit comes up October 2, 2018”, Chukwuka said.